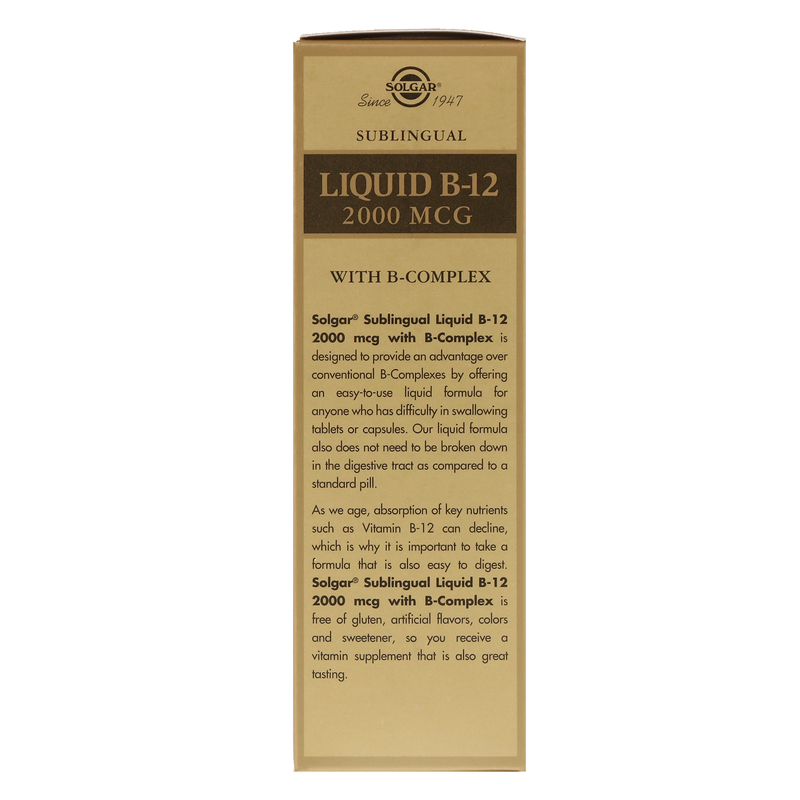 Solgar's Sublingual Liquid B-12 2000 mcg with B-Complex vitamins is designed to provide an advantage over conventional B-Complexes by offering an easy-to-use liquid formula for anyone who has difficulty in swallowing tablets or capsules. 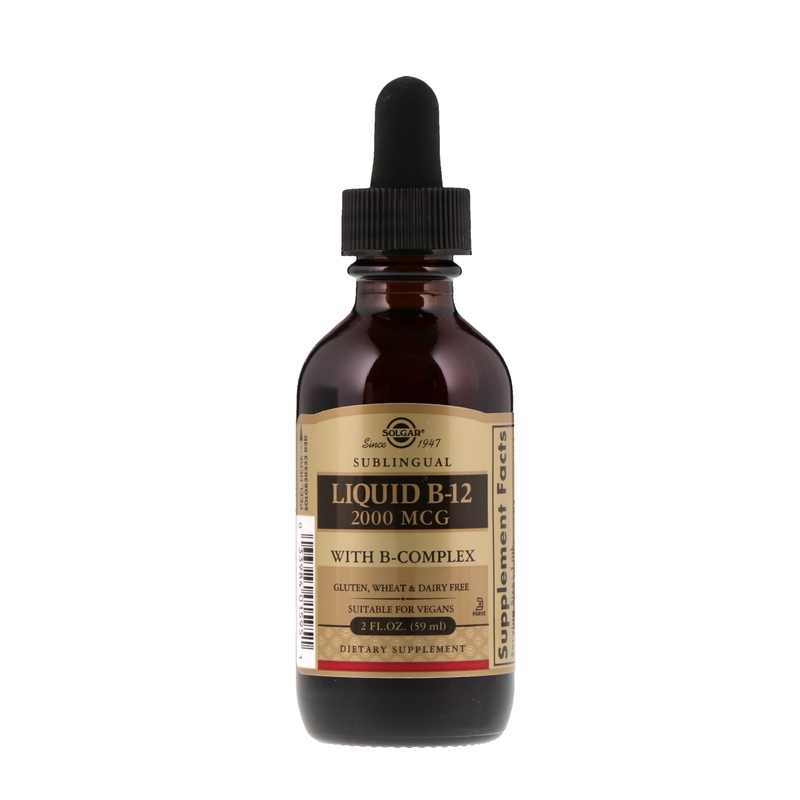 Our liquid formula also does not need to be broken down in the digestive tract as compared to a standard pill. 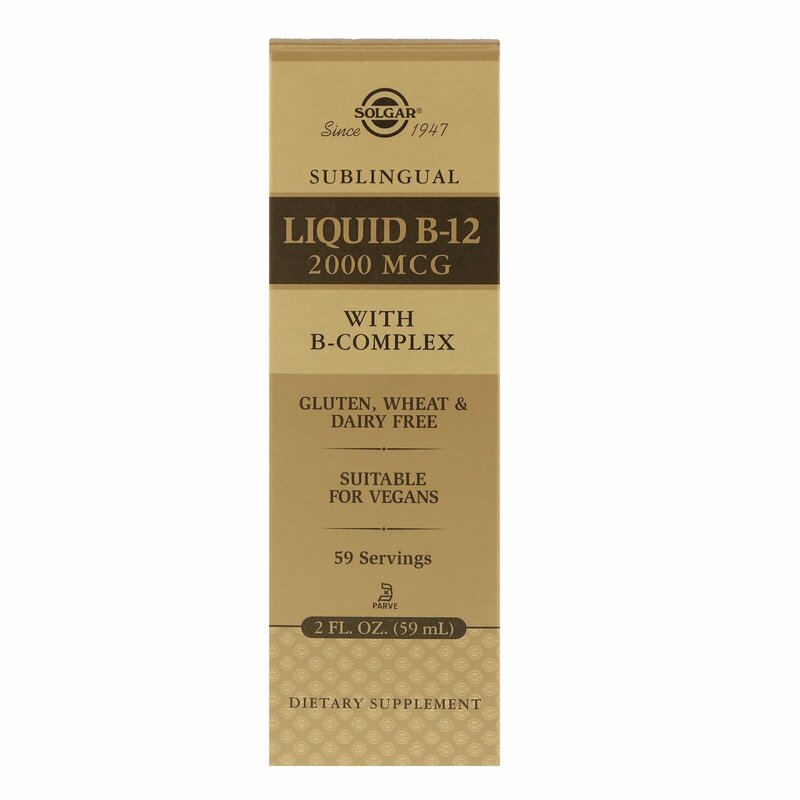 As we age, absorption of key nutrients such as Vitamin B-12 can decline, which is why it is important to take a formula that is also easy to digest. Shake well before use. 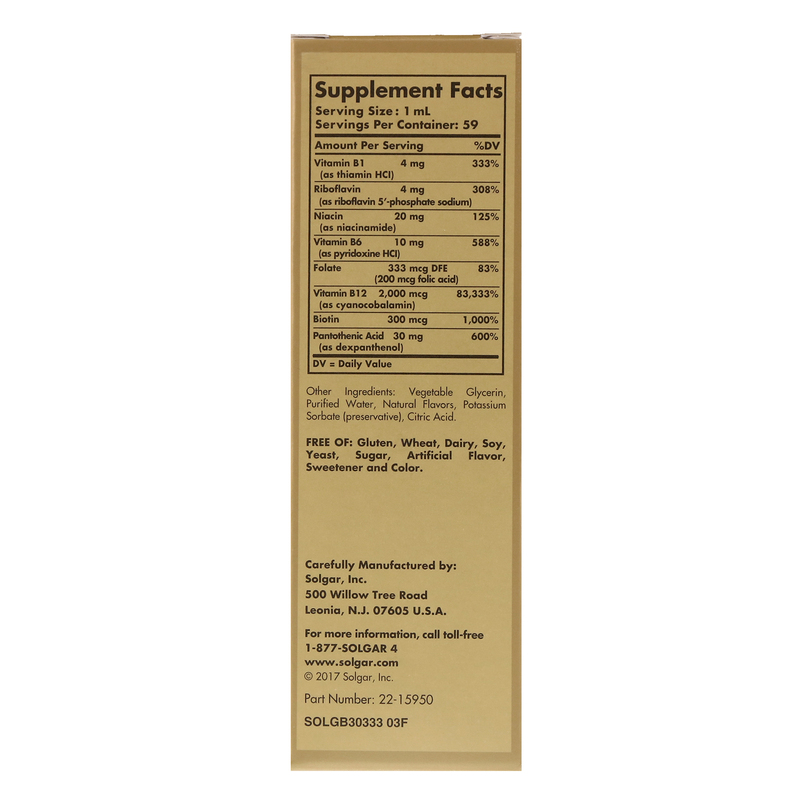 As a dietary supplement for adults, place one (1) dropperful (1 ml) under the tongue (sublingually) up to two times per day. Hold under tongue for 10 seconds before swallowing. Vegetable glycerin, purified water, citric acid, natural berry flavor, potassium sorbate (preservative). Free Of: Gluten, wheat, dairy, soy, yeast, sugar, sodium, artificial flavor, sweetener, and color. Solgar's Sublingual Liquid B-12 2000 mcg with B-Complex is free of gluten, artificial flavors, colors and sweetener, so you receive a pure vitamin supplement that is also great tasting. If you are pregnant, nursing, taking any medication or have a medical condition, please consult your healthcare practitioner before taking any dietary supplement. Keep out of reach of children. Store in cool, dry place. Do not use if neck seal is missing, torn or damaged in any way.